Volcanoes erupt because the earth's movement causes openings or vents in the crust. Volcanoes can be mountains, vents or under sea rifts. Volcanism is an eruption of molten rock at the earth's surface. Sometimes there is explosive gases and rock fragments. Magma is soft rock in the earth's mantle. It usually flows into cracks by the earth's surface. When the magma hits the earth's surface, it is called lava. Lava cools, hardens, and forms rocks. This process is part of the rock cycle . Volcanic eruptions can be similar, but each one is unique. Before each eruption there are several small earthquakes. 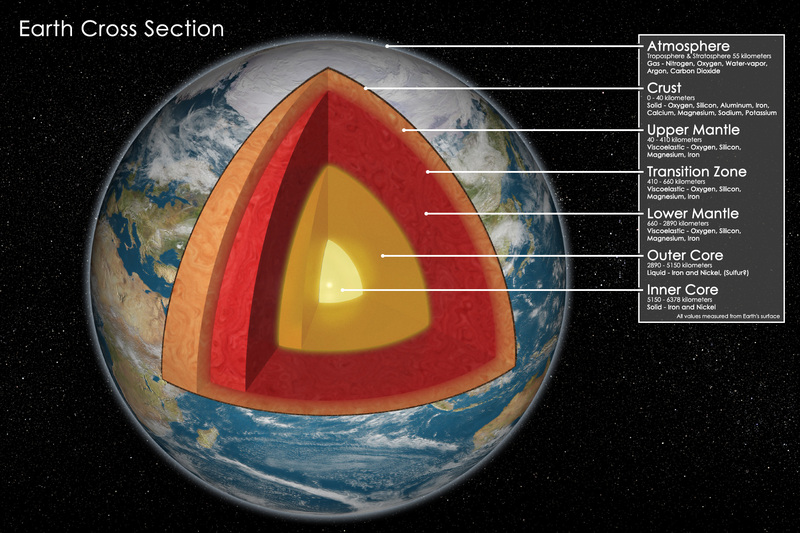 The magma presses against the upper mantle and breaks through to the earth's surface. The earth moves and the magma pushes to the surface and forms a volcano. The combination of magma and water causes a violent eruption. There is often a big cloud of smoke that is vaporized water, cinders and ash. Most volcanoes are located in an area called the Pacific Ring of Fire .